After 4 years of postdoctoral training at Washington State University, his career began in 1971 at the Avian Diseases and Oncology Laboratory of USDA. In 1988, he was appointed Professor and Pomeroy Endowed Chair in Avian Health at University of Minnesota, a position he held for 20 years. 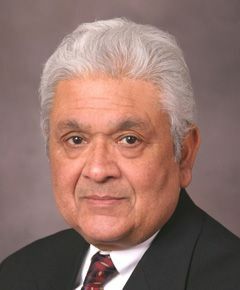 In 2009, he became Professor Emeritus. The same year, he moved to Arizona State University where he is Research Professor at the Biodesign Institute and Visiting Professor of Life Sciences in the School of Life Sciences. Jagdev pioneered the in ovo vaccination system in poultry. He devised the scientific concept, supported the concept with research data, and transferred the technology from his laboratory to the market place. This innovative technology, one of the latest mass vaccine delivery systems adopted in veterinary medicine, is being used in almost all major chicken hatcheries in the world. Since 2009, he has focused on improving the performance of backyard chickens in rural Africa. The aim is to reduce poverty and improve the quality of life for rural households. Jagdev is a world-renowned avian immunologist and has contributed to the understanding and control of common viral diseases of poultry. His publications include a book and 197 peer-reviewed articles. He holds one Canadian and five US patents. He has received numerous awards, is sought after as a keynote speaker and has presented 136 invited lectures in 36 countries. In 2009, he was elected president of the American Association of Avian Pathologists. From 2003-2013, he served as Editor of Avian Diseases. When Jagdev is not working, he can be found on the golf course, where his efforts to reduce his score continue unabated despite minimal evidence of success. Jagdev and Sylvia have a son, Dave, who along with his wife Lucina lives about 30 miles from them, and a daughter, Susan, who lives in Colorado Springs. The first grandson, Dylan, was born in 2012.